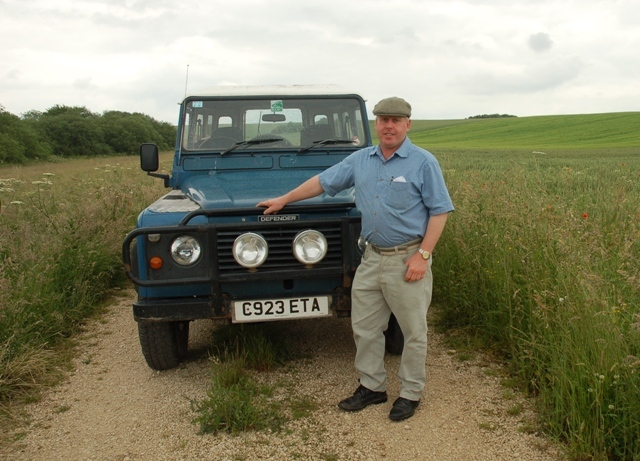 Welcome to the site for Stuart Rose, a farmer and lifelong resident of the historic village of Laxton, Notts; Clerk to the Gaits and Commons of the Court Leet and trustee of Laxton Visitor Centre. Stuart gives talks at a venue of your choice about farming today in a medieval landscape and guided walks in and around Laxton. Stuart's walks featured in the 'Guided Walks in Nottinghamshire' series formerly published by Notts County Council and now publicised by a volunteer group. Stuart arranges six public walks a year. Private groups are welcomed for walks and talks. Groups may be of any age and with the government promoting the importance of the learning to be gained from heritage sites to schools and colleges, a wealth of experience is available to any groups wanting to learn more about Laxton. Coming from a family heavily involved in education, Stuart is well aware of the requirements to study topics relevant to appropriate Key Stages in education and the preparation and planning that goes into school visits. Stuart welcomes invitations to talk to students of all ages in their school or college setting or to show them round his farm and the Laxton system. Organisers are invited to call to discuss the requirements of their group and to decide the most interesting topics for them. If appropriate, teachers' educational materials can be supplied and assistance offered with risk assessments. 'Laxton Fields' has been designated a target area for Higher Level Stewardship by Natural England to promote conservation of the historic landscape and biodiversity. Click here for details of the scheme and click here for how it relates to Laxton. Stuart is regularly contacted by the media for assistance in developing features on Laxton. He has collaborated with Michael Wood's production company for two recent television series; 'Country Life' magazine in the production of a six page feature on Laxton, assisting both the author and the photographer; Nottingham University's team researching an exhibition about Laxton; WAG Screen in providing advice, locations and props for the filming of three productions as well as other press and broadcast media. The media, academics and event organisers researching Laxton past or present are invited to discuss assistance and support. One to one collaboration with specific university research topics or teaching requirements.